This is a traditional recipe of tamilnadu. Paruppu kadaiyal/Masiyal is very easy to prepare and when served with ghee, they taste divine. 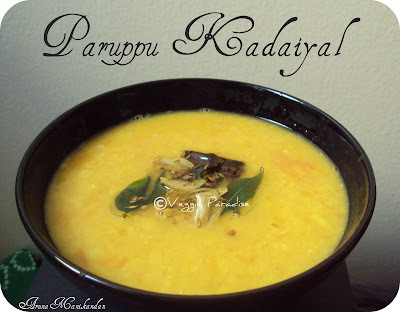 How to prepare this simple Parrupu Kadiyal/Masiyal? 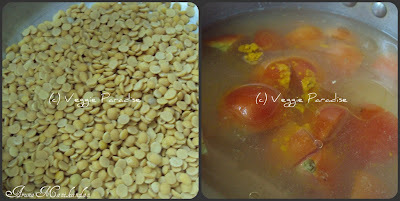 Wash and clean tuvar dal , add sufficient water along with turmeric powder and tomatoes. Pressure cook for 4 to 5 whistles (until the tuvar dal gets cooked well). Mash them well and keep it aside. Heat oil in a pan, add mustard seeds, when they stop sputtering add urad dhal ,followed by curry leaves. Add cumin seeds split and add red chillies, saute for a min. Now crush and add the garlic, fry it for a min. Add these ingredients with the mashed dal, add salt and mix it gently. Yummy kadaiyal and H's fav. Simple, quick and delicious...looks yum. i heart dhal such a simple one yet wonderful! Simple and always comforting dhal! 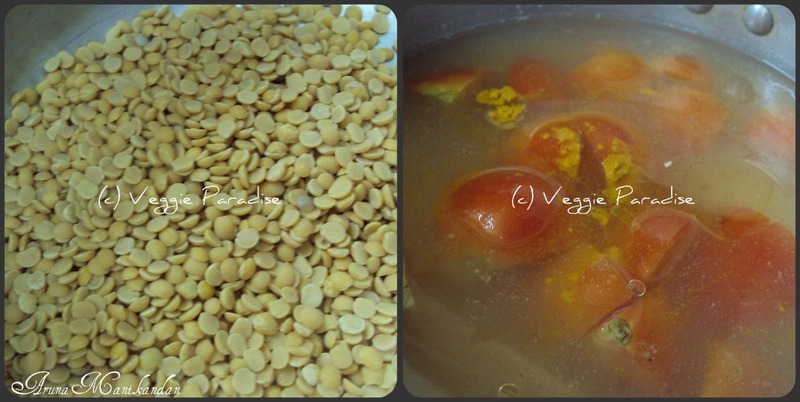 Dal looks too very good, simple but delicious recipe.. 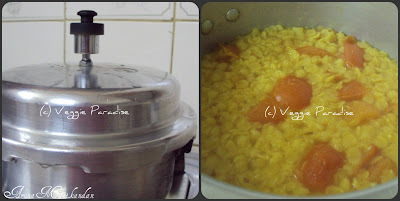 Simple n delicious dal recipe..Happy mothers day!! Beautiful presentation and delicious paruppu - Would love to have some with shuttappalam and some manga oorgai :)HEAVEN! Just drooling over that delicious dish,simply inviting..
Mmmmmmm....yummy dal,simple recipe but tastes great...I love to have with hot plain rice n ghee...yum...color rocks n tempts me a lot :). Happy mothers day!!! Simple. colorful and comforting paruppu kadaiyal!! Parippu kadaiyal looks awesome delicious. 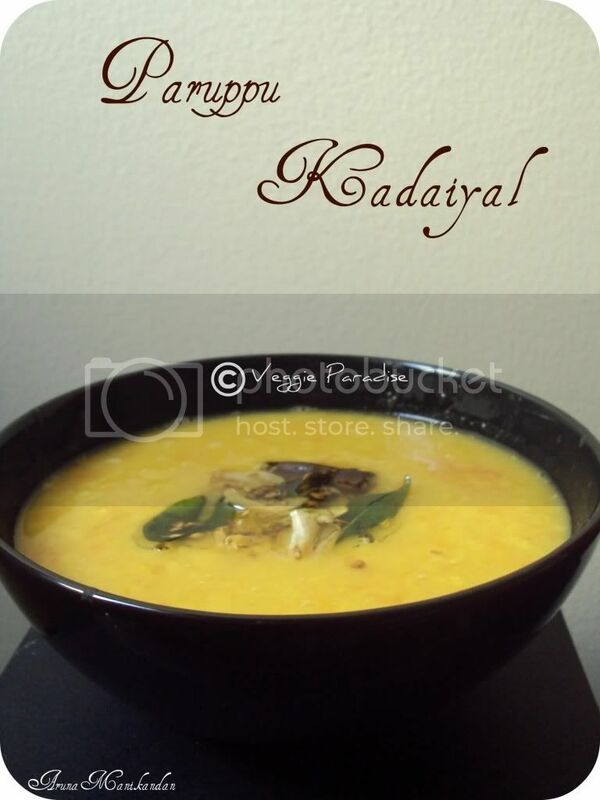 Simply inviting and comforting, love this kadaiyal..
simple n yummy dal goes well with hot rice. Thats for sure a soothing bowl of Paruppu kadayal! Would love some roasted urulai or cheppankizhangu on the side! 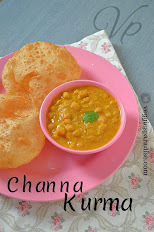 I love this simple dhal curry.This with a rice along with some ghee is all I need to be happy. Simple and satisfying....great staple anytime! kadaiyal looks soooooooo good - am loving it ! Thanks for visiting my blog :) You have a great vegetarian blog too! Happy to follow you for some great veggie recipes! looks delicious and so simple one .. Traditional Indian Dhal looks divine. Anytime favorite food. simple recipe and lovely presentation..anytime good n healthy parippu curry! 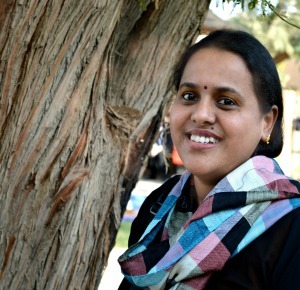 Hi Aruna, a hearty welcome to my space. When I peeped into your space to know who this was, wow.. another daal curry.. It is exactly like my mom used to prepare..